The Digital Literacy School Grants are an initiative under the Inspiring all Australians in Digital Literacy and STEM measure of the National Innovation and Science Agenda. 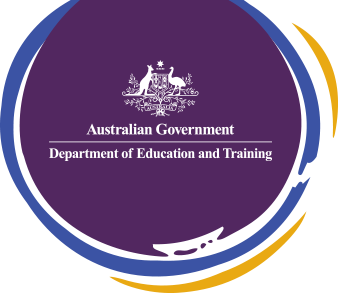 Grants of between $10,000 and $50,000 are available for schools and other organisations to encourage and facilitate implementation of the new Australian Curriculum: Digital Technologies. Grants will be awarded for project proposals that demonstrate innovative methods for driving enhanced digital literacy in schools. Single school projects are eligible, and multi-school projects spanning primary/secondary, and/or a combination of sectors are also encouraged. Applications for the first round of project funding have now opened (Monday 19 September 2016) and will close at 5 pm (Canberra local time) on Friday 28 October 2016. Timing for the second round of project funding will be published on the Department of Education and Training’s website in the first half of 2017. All DLSG processes will be undertaken in accordance with the requirements of the Commonwealth Grant Rules and Guidelines – July 2014 (CGRGs). The CGRGs can be found at www.finance.gov.au/resource-management/grants/. Frequently asked questions (FAQs ) are available for the Digital Literacy Schools Grants initiative.